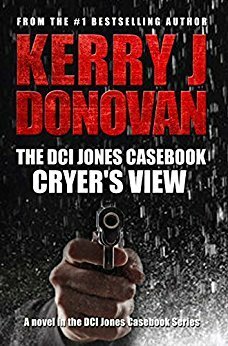 Cryer’s View by Kerry J Donovan is the fourth story in the DCI Jones Casebook series. It is an exciting police thriller centred around the character of Phil Cryer. From the onset it is clear that Donovan is a safe pair of hands and the story is both engaging and gripping. There are references to incidents and characters that have obviously featured in the earlier novels but Cryer’s View can be very much enjoyed as a standalone story. Indeed it is the only one of Donovan’s books that I’ve read although it certainly won’t be the last. The structure of the novel lends the story an added layer of tension as it is set out almost like a police report with each chapter chronologically dated. The whole case takes just over a month to solve which heightens the sense of urgency. Donovan also uses devices such as watching the action play out via TV screens which again lends authenticity and makes the story seem more visual, almost like a TV serial. 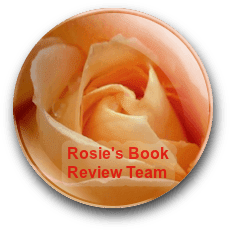 Donovan switches from third person narrative which allows him to move the action forward to first person which creates a connection between the reader and Phil Cryer. There are lots of likeable characters in this novel but Phil Cryer is at the heart of it. By giving us a character who is ‘ordinary’ rather than a larger than life hero, Donovan makes us believe in Cryer. He’s a Detective Sergeant based in Birmingham whose only extraordinary feature is his exceptional memory which makes him the perfect choice for an undercover job in London, rooting out a corrupt cop. Just as important as his abilities as a detective, Cryer is a devoted family man which humanises him. He also expresses his fears and insecurities as he feels isolated in a big city away from home. The fact that he feels out of his depth makes the reader connect with him and care about him. In addition to Cryer’s mission to expose the “bent cop”, he has to play the role of newbie in the National Crime Agency. Taking on cases he has to underplay his memory and abilities, enabling others to take the credit for his investigations. He gains the nickname “Lucky” and wins over his colleagues with the exception of Billy Hook who becomes his nemesis. Their relationship provides much of the tension during the course of the story. Donovan’s skill as a writer is apparent in the way he allows his story to unfold piece by piece, almost like a jigsaw puzzle. There are quite a few red herrings which build the excitement and the big reveal at the end left me reeling as I never saw it coming. Donavan uses his novel to present a very realistic and sympathetic view of law enforcement agencies. His knowledge of police procedures is convincing and the story is all the more interesting for it. Reading the story made me appreciate what a dangerous job police work is and how vulnerable they are. We are also shown how political the job can be and the tensions between detective work and the CPS who don’t always choose to prosecute. I really enjoyed Cryer’s View, it’s pure escapism but with a thoughtful underbelly. If you like a character driven thriller with lots of action then this one will suit you. Thank you so much E.L glad you enjoyed this. Thank you so much for such an in depth review of Cryer's View. So glad you enjoyed my work.